Over on Reddit, user cronek discovered by using his RTL-SDR that the microphone on his HP EliteBook 8460p laptop computer was continuously and unintentionally transmitting the audio from the built in microphone at 24 MHz in FM modulation. He found that the only requirement needed for the microphone to transmit was that the laptop needed to be turned on – even muting the microphone did nothing to stop the transmission. I accidentally stumbled upon a signal in the 24MHz range, appearing to be 4 carriers. I tuned to it and heard silence, then someone came into my office and started talking and I could hear them speak. The signal appeared to be coming from my other laptop (not the one running the SDR) and was pretty weak (my antenna, the crappy one that comes with the dongle, stuck to a metal stapler was right next to the HP laptop). This is of potential concern as as the US Military is apparently transitioning to this particular laptop. However, this may be an isolated incident, as in the thread cronek explains that other laptops he tested did not display this behavior. Interesting bug on some laptops, the DVD drive can sent spikes back onto the 5V line and cause hard drive and USB device premature failure. It took me a while to find but fortunately swapping the drive got rid of it for now. 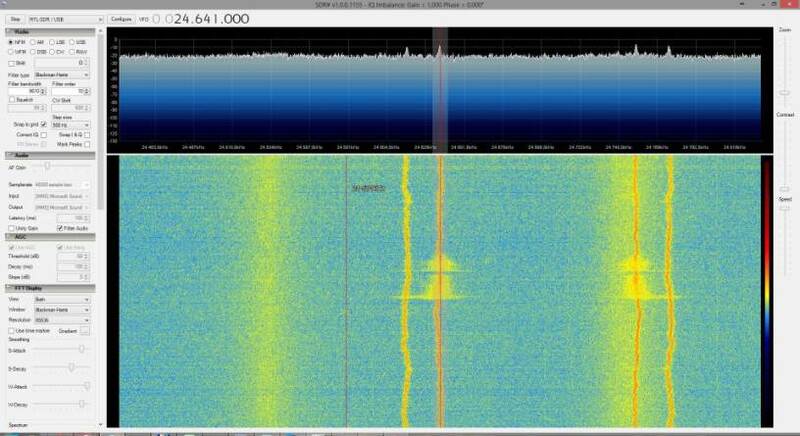 Wonder if there are signals from the webcam’s microphone as well, if so then SDR might find them when on. February 14 2018 and I just found this issue with my ASUS ROG Gaming laptop transmitting on a 2 digit NFM frequency!!! My mind went to some very dark places and scenarios before I found this article. And just like the original poster, disabling the microphone does nothing to stop the transmission. It’s very noisy signal but a loud speech near the laptop can be understood. i have the same issue with my hp pavilion 17 have found my mic transmitting on rtl-sdr several times. I had the same problem too!! Ha ha that’s how I found this site. Hopefully they fix this in an update or something? Might be a security breach for the military?? I’ve the same problem on a Pavillion g6, but not on the Pavillion Sleekbook. The emission disappear if a jack is plugged in the external mic connector. I have about 7 similar problems with my HP laptop. The CD drive will spin up every time I start Windows Media Player – I have to keep the drive disabled in the hardware manager. Disabling the *trackpad* in the hardware manager didn’t work though – it still received input even when completely disabled. However, it receives less of those inputs (randomly still reacts to touch) when disabled through the “disable when USB mouse is detected” software feature in the mouse settings. The alt and ctrl keys will randomly activate, meaning that sometimes when I’m typing a paragraph, things will start popping up on the screen from keyboard shortcuts. I want to continue listing, but my blood pressure is going through the roof. I think you get the point of all of this though… BOYCOTT HP!